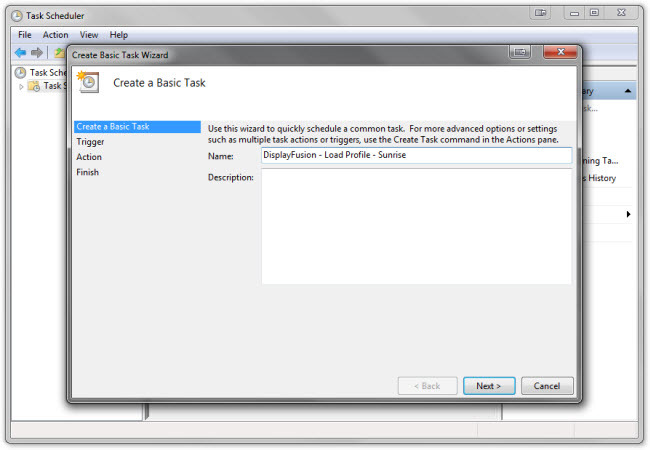 Please note: If you're deploying ClipboardFusion via Active Directoy GPO, please read the MSI Installation section carefully, and as always, make sure to test it thoroughly before deploying it into production. 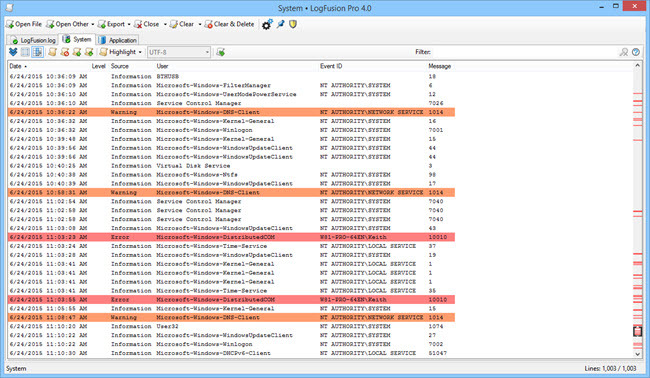 Note: The ClipboardFusion installer requires administrative privileges in order to run successfully. 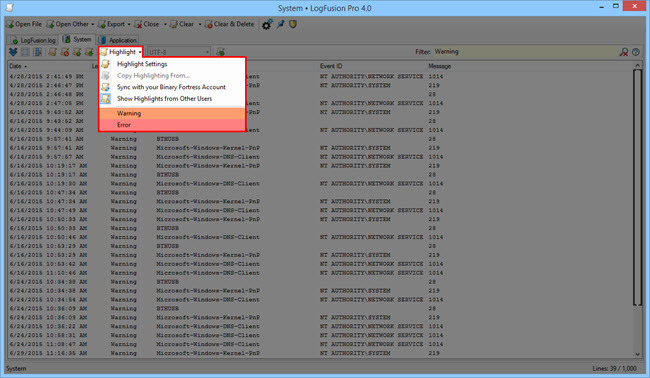 If the installer is run using an account that doesn't have administrative privileges on the system, UAC will request the credentials for an administrative account on the system. 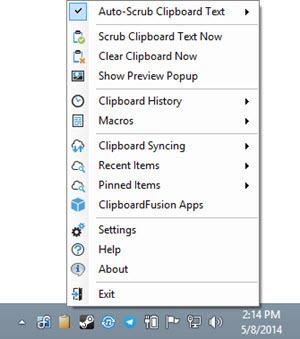 ClipboardFusion will not run automatically after setup completes. msiexec.exe /i "ClipboardFusionSetup.msi" /qn CUSTOM1="/VERYSILENT" LAUNCHAFTER=0 LKEYALL="license key"
We're very excited to announce that DisplayFusion 7.3 is now available for download! This release consists mostly of bug fixes for Windows 10, but also adds a Blur option on the wallpaper Adjustments tab. Congratulations to our top contributing members for August 2015! They have been hard at work submitting, rating, and discussing images on WallpaperFusion, and have racked up some impressive reputation scores along the way! 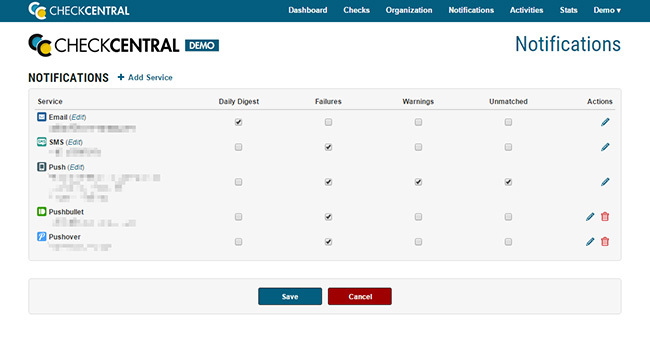 We're excited to announce that we've released several updates to CheckCentral, including new options for receiving notifications and updated check configuration settings! We've added a new option to help you process incoming messages. Advanced matching expressions provide a simple yet powerful way to create conditions that are more complicated or more specific than the existing options. For example, you can now create rules based on the number of occurences of a word or phrase, or to require a one word while excluding another. 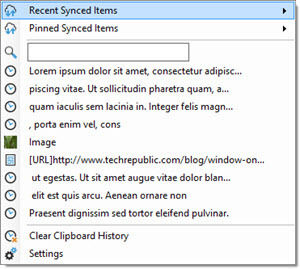 To see all of the ways you can use complex matches see the documentation. 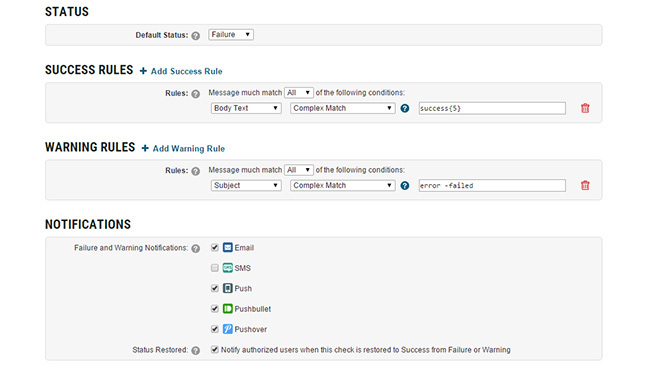 As well, the thresholds for late message warnings have been expanded to provide additional flexibility for setting up your checks. You can now be notified when CheckCentral does not recognize a new email, to help you stay on top of any message that comes in to your organization. We've also added support to send CheckCentral notifications with Pushbullet and Pushover, so you can get updated more ways than ever! FileSeek Personal Home License Now Available! 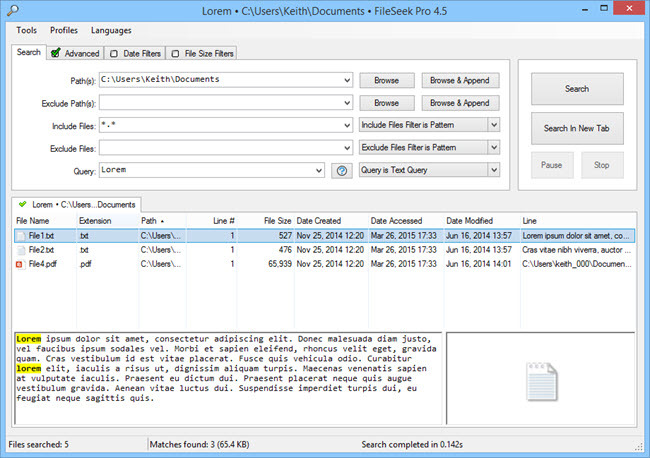 We're happy to announce that we've added a new license type for FileSeek Pro: The FileSeek Pro Personal Home License. This license type allows you to install FileSeek Pro on unlimited computers in your home, as well as one computer at work, provided that you're the sole user of the work computer. At only $15, it costs less than 3 FileSeek Pro Standard licenses, so if you have multiple computers at home, it's definitely a great choice! You can also upgrade from FileSeek Pro Standard to FileSeek Pro Personal Home at any time. If you would like more details on upgrading, please contact us. Update: The sale is has ended. Thanks everyone! 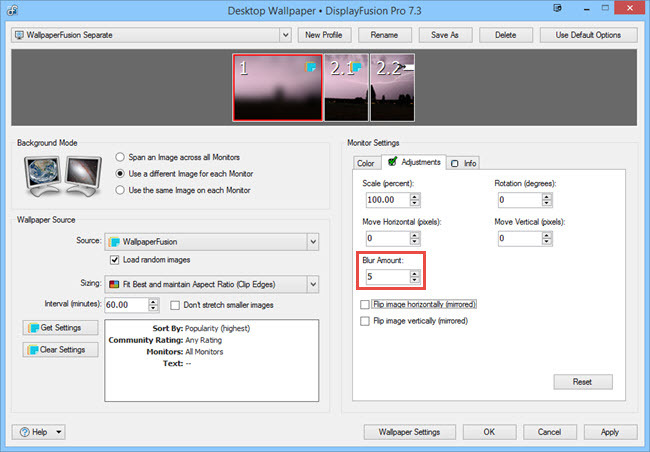 We're very excited to announce that DisplayFusion 7.2 is now available for download! 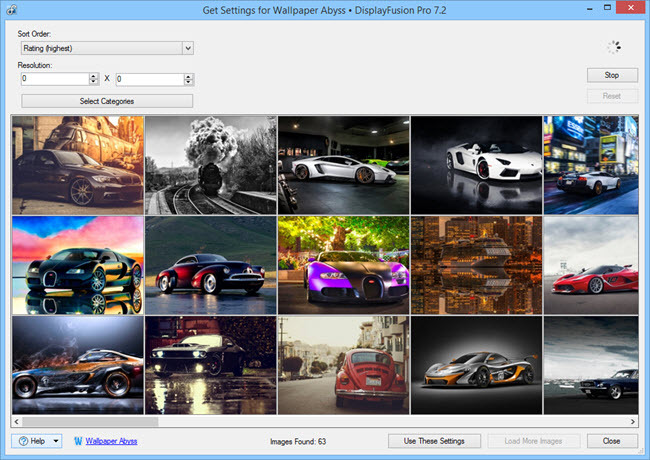 This release contains a couple of new wallpaper providers, the ability to choose what happens when you click the tray icon, Windows 10 support, and many bug fixes! DisplayFusion and VoiceBot are both on sale at up to 50% off this week! Check out the excellent deals on DisplayFusion and VoiceBot! Two new built-in screen savers: "DisplayFusion Website" and "Scrolling Marquee"
If you haven't already, we'd definitely recommend checking out VoiceBot, a powerful utility that allows you to control your games, applications, and more using your voice! 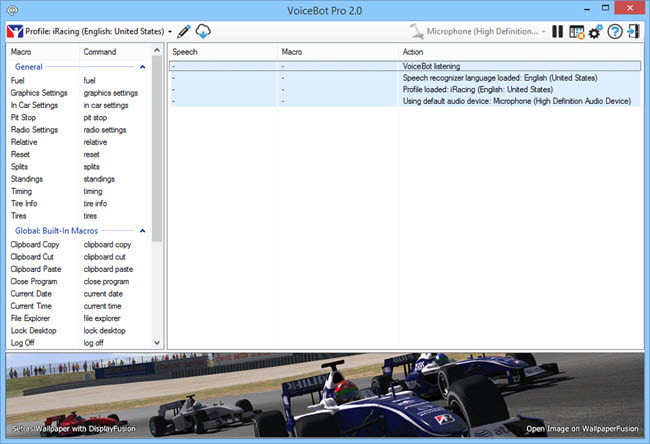 Setup and use voice commands to run keyboard shortcuts, click and move your mouse, and even execute complicated macros and scripts. With hundreds of premade game and application profiles, you can get up and running with VoiceBot quickly! 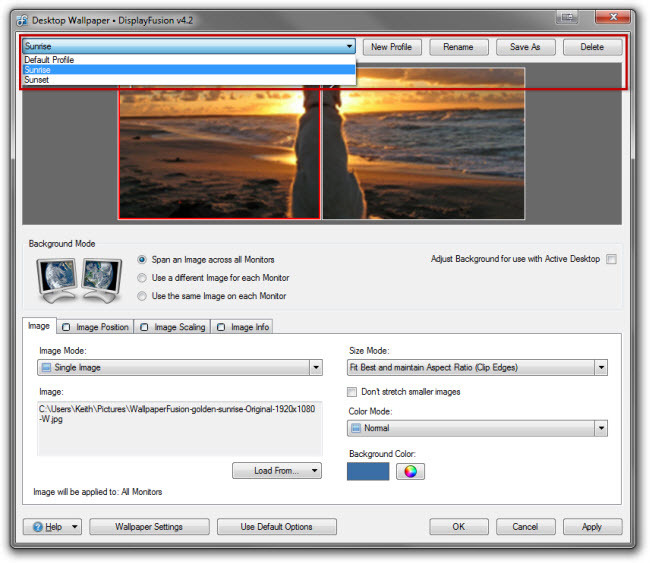 Create a Wallpaper Profile for each wallpaper setup that you'd like to switch between automatically. 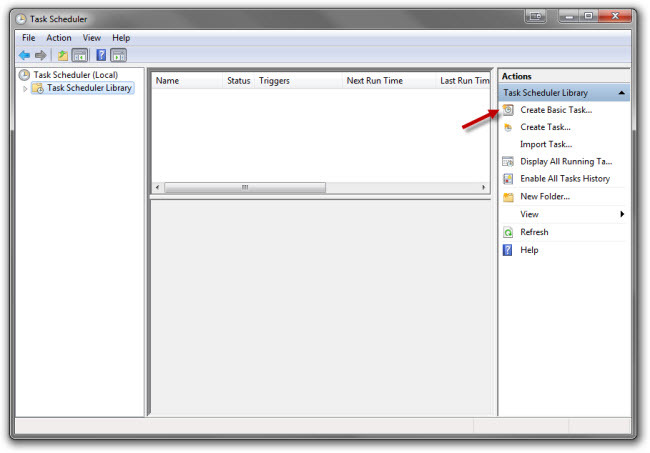 Open the Windows Task Scheduler (Start > All Programs > Accessories > System Tools > Task Scheduler) and select "Create a Basic Task" from the right pane. 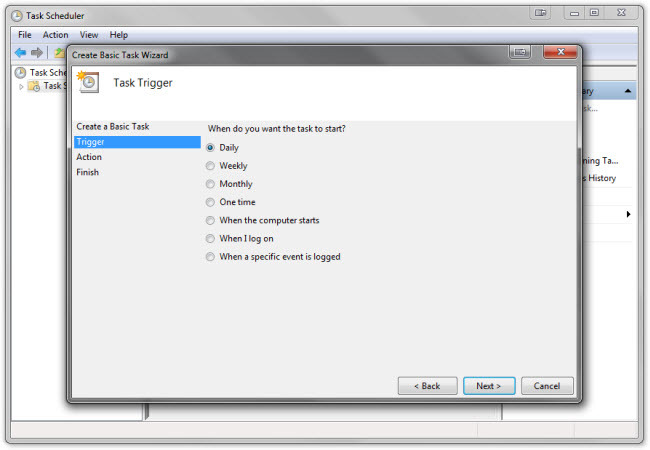 In the wizard, enter a name for the task, then click Next. 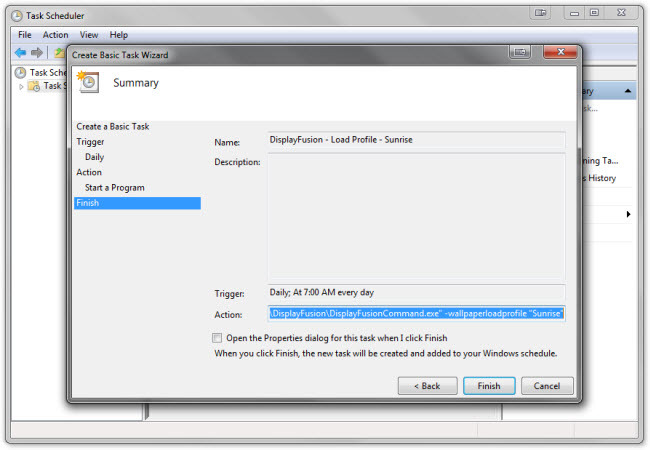 For example: "DisplayFusion - Load Profile - Sunrise"
Select when you want the task to run, then click Next. 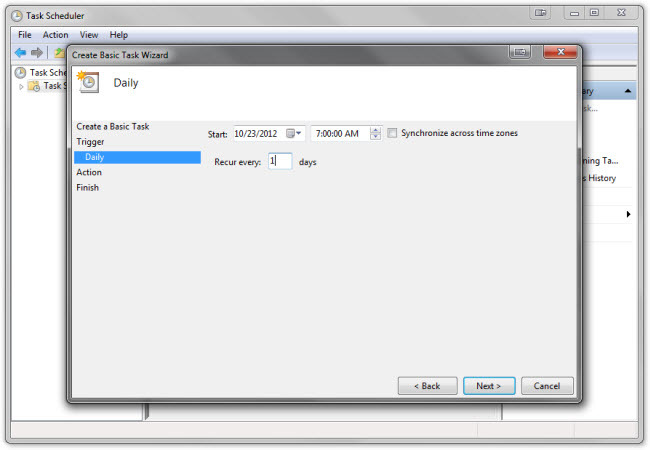 For example: If you want to load the Sunrise profile every morning, choose "Daily." 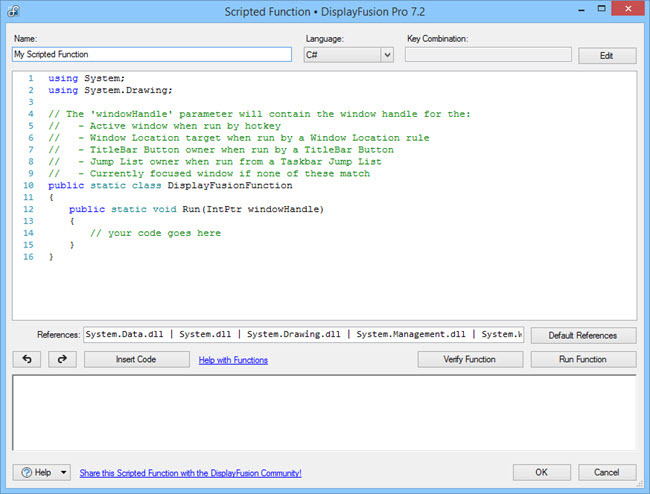 In the "Program/Script" text box, enter the full path to DisplayFusionCommand.exe. 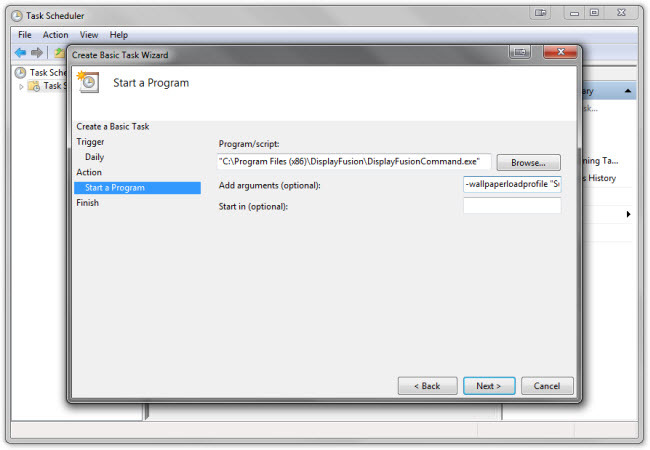 For example: "C:\Program Files (x86)\DisplayFusion\DisplayFusionCommand.exe"
In the "Add arguments" text box, enter -wallpaperloadprofile "Profile Name" then click Next. Review the settings, then click Finish. 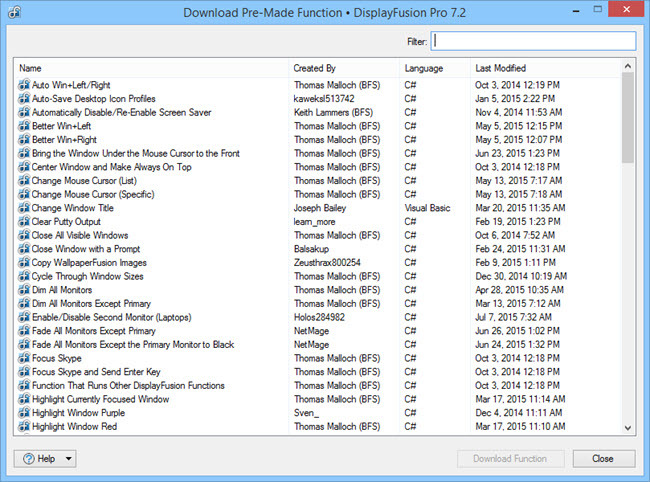 The "Action" box should contain something like this: Start a program; "C:\Program Files (x86)\DisplayFusion\DisplayFusionCommand.exe" -wallpaperloadprofile "Sunrise"
Repeat steps 2 through 8 for any other Wallpaper Profiles that you'd like to schedule.